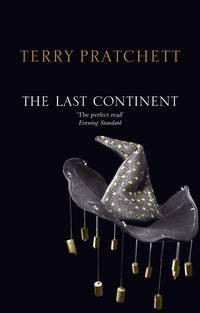 TERRY PRATCHETT is one of the most popular authors writing today. He lives behind a keyboard in Wiltshire and says he 'doesn't want to get a life, because it feels as though he's trying to lead three already'. He was appointed OBE in 1998. He is the author of the phenomenally successful Discworld series and his trilogy for young readers, The Bromeliad , is scheduled to be adapted into a spectacular animated movie. His first Discworld novel for children, The Amazing Maurice and His Educated Rodents , was awarded the 2001 Carnegie Medal. From the Compact Disc edition. 2006-02-12. Good. Ships with Tracking Number! INTERNATIONAL WORLDWIDE Shipping available. May not contain Access Codes or Supplements. May be ex-library. Shipping & Handling by region. Buy with confidence, excellent customer service!